We tend to say there are 152 million bloggers around the world. That seems a lot, especially when you know that every second a new blog is created. Bloggers are a quite recent phenomenon and brands have been using them as a leverage for visibility. In the past 2 to 3 years, brands are not seeking bloggers anymore, they want influencers, meaning people who can drive attention to what they think towards millions of people. The buzz landscape is changing. From a luxury blog to influencers, from online writers to social media celebrities… welcome to the next level of online visibility. 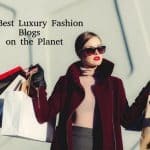 Here are some pieces of advice to create your blog about luxury. Before starting a blog about luxury, you need to choose your topic and your angle. Probably this piece of advice work for any blog. 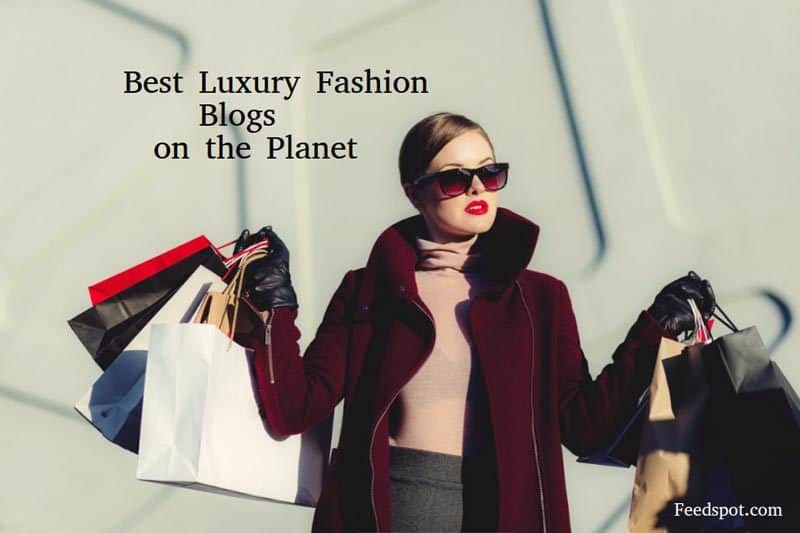 Make sure you will have great pleasure to write about a specific topic like luxury lifestyle, fashion, arts, travel or any sort of premium products, services or brands. Serious blogging require a lot of your time, so you better spend it on something that pleases you. Generally one of the best motivations is to always learn something new, something meaningful. Think about what are your interests in life. Another interesting tool to help you decide is GOOGLE. Search for other blogs that talks about the same topics as yours. If it is a very crowded area of expertise you have two options: either you have found an unique aspect to a mainstream topic or you should probably find another one. This will prevent you to get frustrated that your website is not visible enough. A good question to ask to yourself is would you read what you write? If not, then forget about it. Nobody needs just “another source of information”. At the contrary if you think you have found a good angle and a certain degree of originality then go for it! If you wonder what kind of content people are looking for, you might ask yourself first, to what kind of audience you wish to talk to? Luxury is a vast domain and you can see many, many different things in it. Some websites will be very lifestyle oriented and very personal, others will find good tips to get products and services for free or cheaper. Other websites will talk about product launches and others will relay what they find in press releases. A few websites though will do a very qualitative work, writing about the history of certain products, certain companies. You will be able to find exclusive interviews and even avant premiere of new products. Something that strikes me a lot is the lack of quality in digital journalism. Very often we see really bad writing and also people bringing a poor opinion about things. Let’s not forget that a blogger is not a journalist. This means that we do not expect from a blogger to accommodate things as the normal press. We expect a blogger to be sharper, free of speech and potentially not mainstream. Unless you get sponsored by brands, a blogger is free to say whatever he wants, when he wants and in the way he thinks it is best. Freedom does not mean poor editorial content. At the contrary. You should feel proud of participating to the quality of the digital landscape. Blog posts should be obviously interesting but also well written. Let’s not forget that real people will read them. If you are not very good in orthography, make sure someone will control spell check for you. Also, choose the language in which you are the most comfortable with and I would say the one that procures you the most pleasant experience. This is important because it will motivate you to write, especially on those tiring moments in which you need to do it and you have not much time. A blogger might not be a journalist, but should take care of a high quality approach of his writing. Quality is priceless. One thing is writing like a living god but all will be spoiled if you do not create and maintain a beautiful website. There are a few things you need to know if you wish to maintain a website up and running. First of all, you need to know that keeping a website live can be a lot of work. This means you will need to know a few basics in html and probably find someone who would be able to give you a hand from time to time. There are several technologies available that facilitate your life as a blogger. One of the most popular is WordPress. Our suggestion would be to be on wordpress to start as the technology is pretty simple and the community around is of a great support. SEO friendly, mobile friendly, user friendly. Another important point is SEO. Please note that today, Google and other search engines decide with clever algorithms how the information and what information users should access. So even if you have the perfect information for a user, this one will never find you if your website is not perfect for Google robots to find you. Internet is not free, it is owned by multinational companies that have their own agendas and sales to make. Google will organize the way search results appear with its own rules. The same way as Facebook will decide how and if your content will be seen by the platform users. Ten years ago it was much easier to get to people’s attention than today, so you need to cultivate your distinguishing advantage. We use to say that it takes around 2 years for a blog to rise from invisibility. 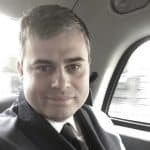 From this article about how to become a successful luxury blogger we can see that networking is a very important point as your content might take some time to appear. The new generation of bloggers might not wait that long so social media became a quicker way to express themselves and being out there. The luxury market is supposed to grow every year by 3 to 7% worldwide. This means that it is an industry with a strong appealing to people. There is an ongoing increase of interest for luxury news around the world and the young generations are ultra-connected, super-informed and craving for luxury brands. While emerging markets like Brazil, India or China have ups and downs, mature markets like the UK or the US are pretty stable or even slightly growing. This generates a strong interest on Luxury news as the luxury customers are more and more keen to discover more about brands, products and services. The younger they are the more informed they want to be. Among the younger customers, there are the Millenniums. They are below 25 years old and some of them have money. Millenniums have more than $US 200 billion to spend and they contribute to $US 500 billion indirectly through influencing their parents (source: US Chamber of Commerce). By 2017, this generation is supposed to outspend the BabyBoomers. They are “hyperly” connected and engage with luxury brands in ways we would not imagine. In conclusion, the world wide web is really big. You need to know the rules but once you master them, it is a brilliant platform to self-expression. If you decide to become a blogger, this means you are entering into a serious matter of writing. You could also become a v-logger, meaning video base blogger (eg: Youtuber) if you prefer to express yourself on video. Some new comers prefer to dedicate their time on instagram, but not sure if we would call them bloggers as per the strict definition. Write, comment and share your thoughts as we always say: the more we share, the more we learn. Info sourced in LuxuryActivist team experience, Forbes, Euromonitor, Forrester, Google blog study and wikipedia. All content is copyrighted with no reproduction rights available. Images are for illustration purposes only.